That’s right! Often times I wonder where I discovered a certain article, or why I read a particular article. It’s nice to know the original source of how I discovered it. So in the future if I recommend the same article to someone, I can say that I got that from James! Cool tips, Matt. Thanks for sharing! 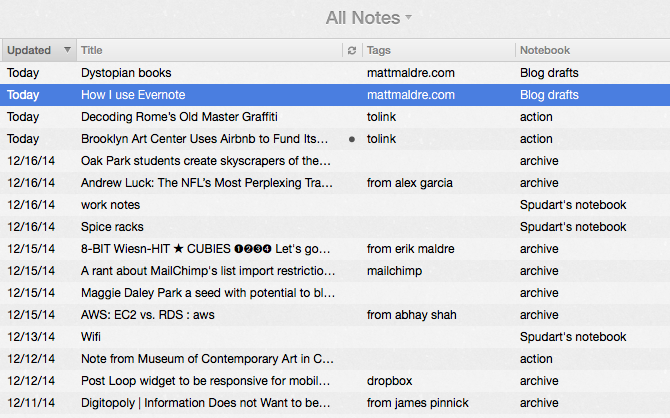 Question: Isn’t — or wasn’t — there a way to have Evernote notes published on a blog? Hmmm, posting Evernote notes on a blog would be an interesting feature. I’ll have to check and see if it’s possible.